PLA – For less warp. 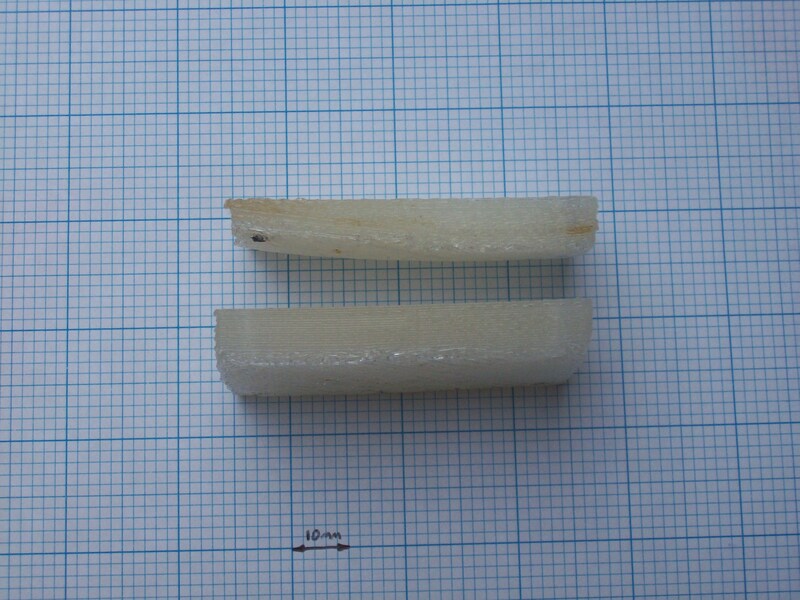 Well for some of the bigger parts I have been trying to print, I have tried using Polylactic Acid. The first part I printed with the PLA, belt-split-jig-universal-20ff.stl, was a great success. But the second copy wasn’t so good. I have no idea why, but perhaps the ambient air temperature of the room was different. The second copy is on the right in the first image, and on the top in the second image. You can see that a corner lifted quite substantially during the print. The amber color usually means it was running too hot. PLA turns amber and becomes very runny like watery at high temps. 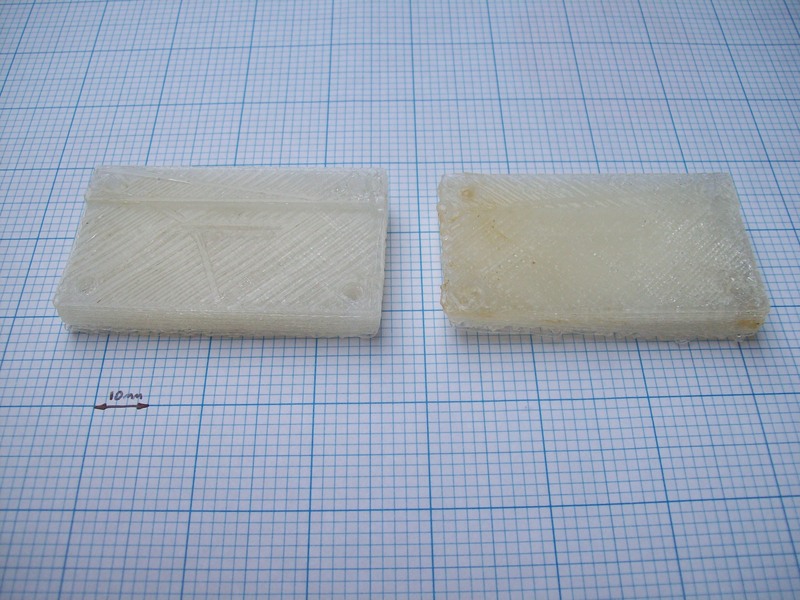 Its quite possible, I think the thermistor came loose between printing the first copy and the second. I had to glue it back in. I am currently using thermic seal to hold the thermistor in (a bad design decision in hindsight) and when I glued it back in it wasn’t as good a job as I had done before, so it possible that the thermistor was not getting as good contact with the nozzle and consequently reading a lower temperature when it was actually hotter. I am re-making my hot-end and this time the thermistor will be mechanically held in place using a clamp made out of ptfe. Previous Previous post: One mans trash, is another mans filament holder.